As biomass energy grows in popularity, there is an increasing focus on its environmental credentials. Undeniably, biomass energy and wood fuel are an integral part of the UK’s commitment to renewable energy. However, in order to take full advantage of the environmental benefits that using biomass energy brings, we must first ensure that wood fuel production is sustainable and environmentally sound so that it can grow into the UK’s preferred energy choice and provide an excellent alternative to the current use of fossil fuels. Biomass, also known as biological mass, is energy material that is derived from either plant or animal sources. Wood fuel is one of the most popular aspects of biomass energy, where energy simply does grow on trees. Wood fuel is a source of energy, used to create heat or electricity by using biomass boilers. Typically, wood fuel takes shape as either wood chippings, pellets, logs and briquettes. It is considered an environmentally sound and renewable energy solution. Ideally, to create an environmentally friendly solution, the wood for fuel is taken from managed woodland. Within the managed forest, felled trees are then replaced with the planting of new trees. Another way that the environment can benefit from using wood fuel and green energy is by using locally grown fuel to generate their heat and electricity. By choosing local suppliers, you reduce the carbon footprint associated with the transport of fuel. With a priority for green energy and a commitment to reducing their carbon footprint for the sake of the environment, consumers need to have the trust that their fuel source is sustainable and a low carbon solution. Fortunately, the UK government have a system in place that promotes sustainable wood fuel production and friendly forest fuel. 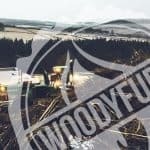 At Woodyfuel, we are proud to be on the approved Biomass Suppliers List (BSL) for our commitment to sustainable and legal wood fuel production. It is this system that not only gives peace of mind to customers; it also allows participants of the Renewable Heat Incentive (RHI) scheme to receive payments. For the government to issue payment to RHI recipients, the recipients must first prove that they are using wood fuel from a supplier on the BSL. Customers can find suppliers that conform to BSL here. What are the environmental aspects of the Biomass Suppliers List? The purpose of the BSL is not to provide proof of the quality of the fuel; it is to show that the fuel is sustainable. 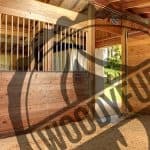 In order to prove this, businesses, such as Woodyfuel, have to demonstrate that their production (including cultivation, processing and transportation) have 60% lower greenhouse gas emissions than fossil fuels when used in a boiler for heat¹. With lower harmful emissions compared to fossil fuels, consumers can trust that they are choosing a carbon-friendly energy source. Thus, following this calculation, customers receive a more environmentally-friendly solution for their heat and electricity. Another essential aspect of the BSL criteria is that producers must confirm that the wood they use in production has been both legally felled as well as been taken from a sustainably managed woodland. With this in mind, customers can have the reassurance that while burning wood releases carbon dioxide, there are more trees planted to capture the carbon dioxide. With this, the carbon created is then reabsorbed by the future tree growth that replaced the felled trees. By providing the evidence requested, wood fuel producers can be placed on the BSL list providing their fuel in 60% less carbon intensive than fossil fuels and is compliant with the UK Timber Standard for Heat and Electricity for legal and sustainable wood fuel. 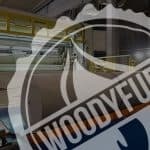 As well as providing the necessary evidence to the government to comply with BSL regulations, Woodyfuel goes further to ensure that the wood fuel they supply is environmentally sustainable and as low carbon as possible. For example, Woodyfuel follows an ethical tree planting policy. 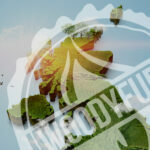 With this, Woodyfuel ensures that they only harvest 2% of woodland, to allow 98% to grow and collect carbon. 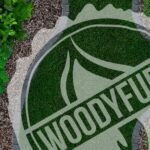 Not only do Woodyfuel focus on the requirements of the Biomass Supplier List, the passion for the environment means that Woodyfuel is also compliant with the UK Forestry Standard and work closely with the Forest Stewardship Council. To ensure our wood fuel production continues providing green energy and remains sustainable, whenever one tree is felled, several more are planted. We make sure that our woodland is carefully managed to provide immediate benefits to the environment. By carefully felling certain trees, we give the woodland light which enables more plants to grow, inviting a greater range of wildlife. If you would like to find out more about the BSL and our commitment to the environment, you can read more on our website. 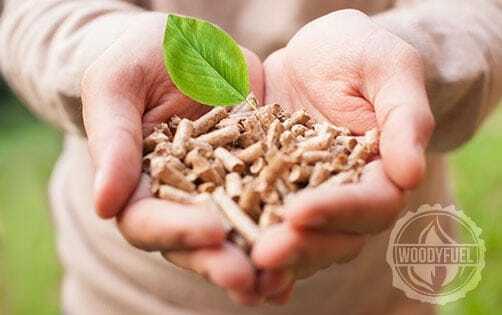 If you would like to find out more information on the benefits of a biomass boiler or wood pellet fuel, contact us today at Woodyfuel on 03333 447234.